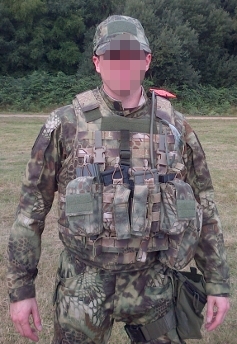 The OTV carrier is a replacement body armor carrier that converts the three piece front opening IBA Interceptor issue armor system into a two pieces body armor system. 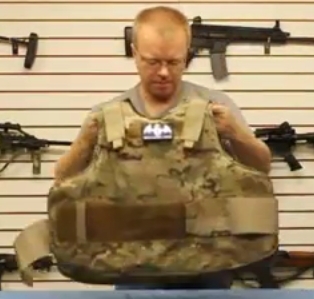 The new carrier design allows the individual to convert the issue soft and hard body armor into a more effective and efficient body armor carrier system. The carrier was designed to provide maximum amount of ballistic protection and increase range of motion for the upper body. The front carrier has an internal support pocket to keep both soft inserts correctly over lapped to prevent movement. The carrier allows proper adjustment of front and back hard plates. The OTV carrier is made out of cordura, which is very abrasion resistant. The OTV carrier also has attachment webbing for issue attachments; yoke assembly, groin protector,throat protector and DAPS. If you are using the three piece IBA interceptor armor and want to put new camouflage around it – The newest camouflages are available like Kryptek Mandrake. 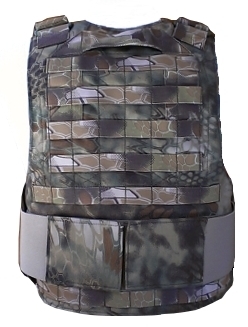 The IOTV first saw action in combat with U.S. Army ground combat units in late 2007/early 2008, currently remains the standard body armor type used by regular U.S. Army ground combat units overseas.The IOTV cut armor is produced by Point Blank Body Armor, BAE Systems, KDH Defense Systems, Protective Products Enterprise and UNICOR. There is a lot of this armor available on the market. Our IOTV carrier line provides the user options from low profile up to a full cumber version. We are now making the carrier available in the above picture with 4″ adjustable waist straps and vertical webbing for QASM buckles. This make the carrier compatible with our TLMP and other chest rigs on the market. One of our primary goals during the design of the BALCS LVR (low vis rig) was that it would be scalable and support different manufacture load platforms (chest rigs, elastic cummerbuns..etc). The BALCS LVR was built around the BALCS cut soft body armor and available in BALCS armor standard sizes – S, M, L, XL. The LVR body armor carrier transforms your BALCS body armor system by providing the best in adjustable elastic waist systems and chest rig load attachment points. The vertical channels allow for the attachment of QASM buckles or other field replaceable buckles. Loop velcro runs across the front of the rig as well on the elastic cumberbund. This rig is designed to work with our TLMP (Tactical Load Mount Platform) and other chest rig like the Haley D3 Chest rig. The back of the BALCS LVR has the right amount of molle webbing to support the Camelbak Mil-spec Antidote Short reservoir and our Hydration carrier short. A low profile drag handle is positioned right below the top of the carrier so not to get in the way but be readily accessible. Our Hydration carrier short has been available for a few months now and has received great reviews. 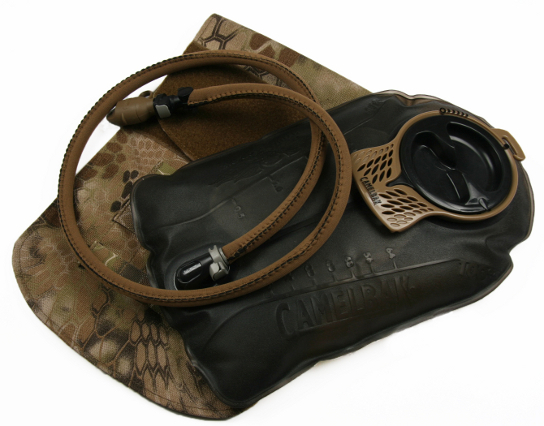 We wanted to make a cost effective hydration carrier to support the new Camelbak Mil-spec 100oz/3L Antidote Short reservoir. The hydration carrier is designed to hold the reservoir like a glove. 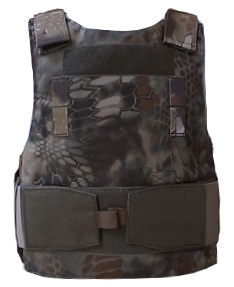 The Hydration carrier short is available in: Multicam, A-TACS AU, A-TACS FG, Kryptek Highlander, Kryptek Mandrake, Kryptek Typhon, Coyote, Khaki, Ranger Green, Woodland, ABU, ACU, and Black.